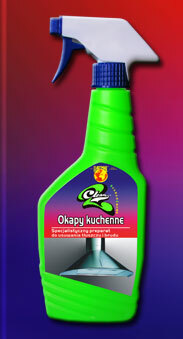 Spotlessly clean kitchen, as never before - an extremely effective cleaner, lightning fast in removing all fats, oils, etc. Its outstanding effectiveness in fighting greasy dirt has been achieved by careful selection of the environment, as well as of surface-active agents, fat-emulsifying and fat-dispersing agents. Help yourself by removing easily and rapidly unpleasant, greasy dirt, normally very difficult to remove, from kitchen vents. The product removes extremely effectively even the oldest greasy dirt. Satisfaction after its use guaranteed.